Auditions for the 2018 – 2019 Concert Season! 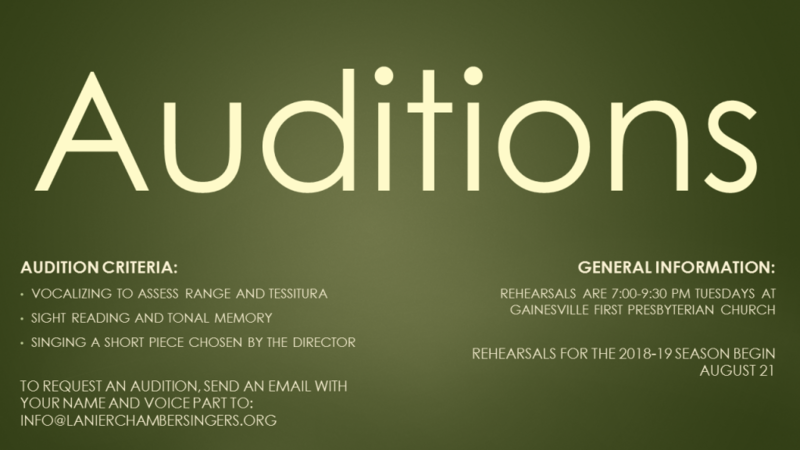 We are holding AUDITIONS for the upcoming season by appointment. The audition will include vocalizing to check range and tessitura, plus sight singing, tonal memory, and performance of a familiar song (song will be provided for you at the audition). There are openings in ALL voice sections. If you’d like to inquire about scheduling an audition, please provide us with your information on our contact page and we will schedule you for an audition time.